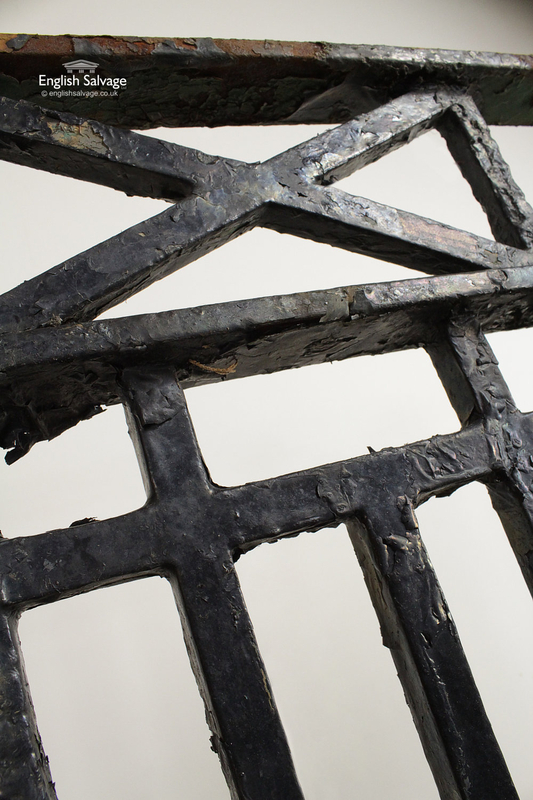 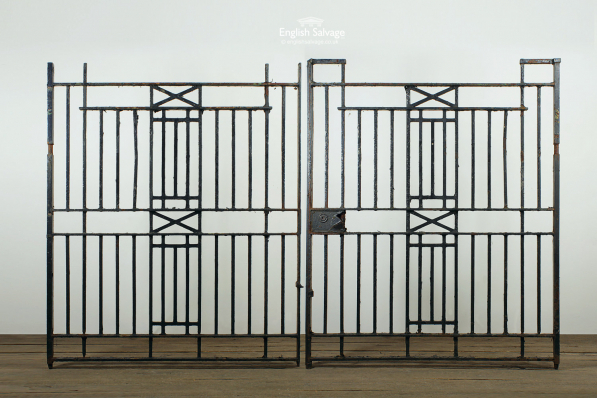 Reclaimed wrought iron double drive gate with cross bar detailing. 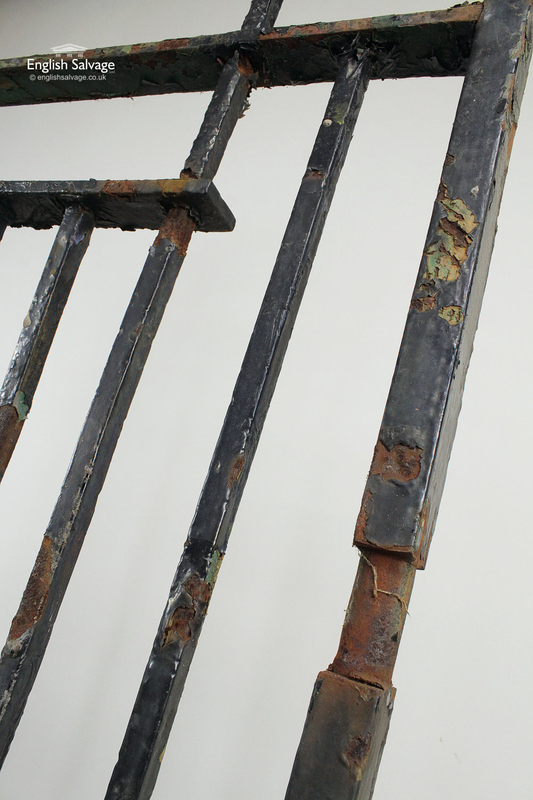 The height to the top rail is 175.6cm, the hinge pins at the bottom aren't included in either height measurement. 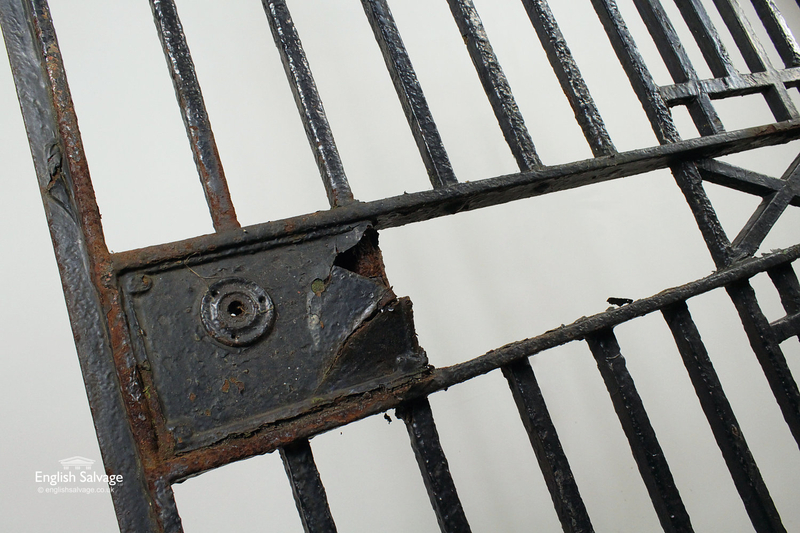 Two top bars missing, peeling paint and spots of surface rust. 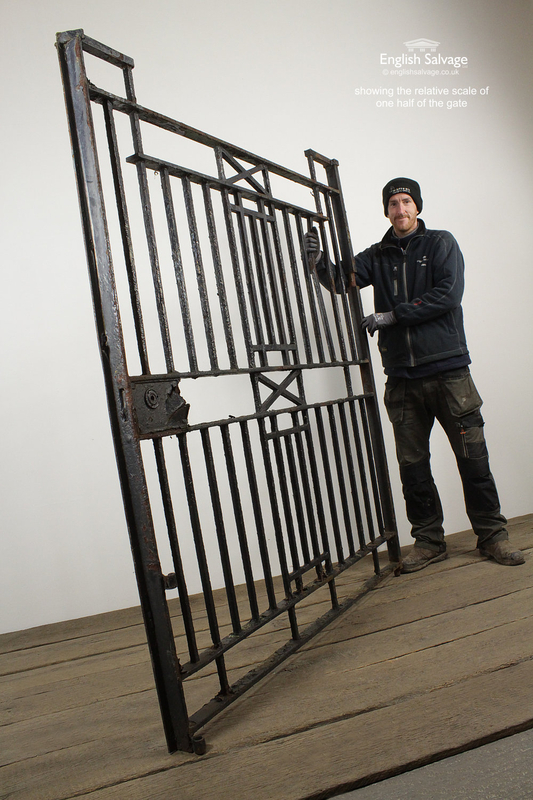 We have a similar pedestrian double gate available here.